We’re nearing the end of summer vacations in India and that means we must gear up for school and studies in less than two weeks. Knowing this well, we had planned a short trip to Kerala, to relax and refresh ourselves before returning to the routine that is Life. Taking a vacation with kids can be incredible, especially if you are as open to experiences as they are. My husband, V, prefers to go on vacation within driving distance, since that means we have our own vehicle to ferry us around and we can choose to change our plans without notice. Since we had 14 days at our disposal this time, we chose to drive down from Bangalore to Kerala. The trip had three large aspects: The planning, the drive and the vacation experience. As always, the nitty-gritty of the planning- the places we would stay at, the sights to see, checking the reviews on Trip Advisor- would be my prerogative. Given the person I am, the kind who likes things in place, I gladly took up the task. 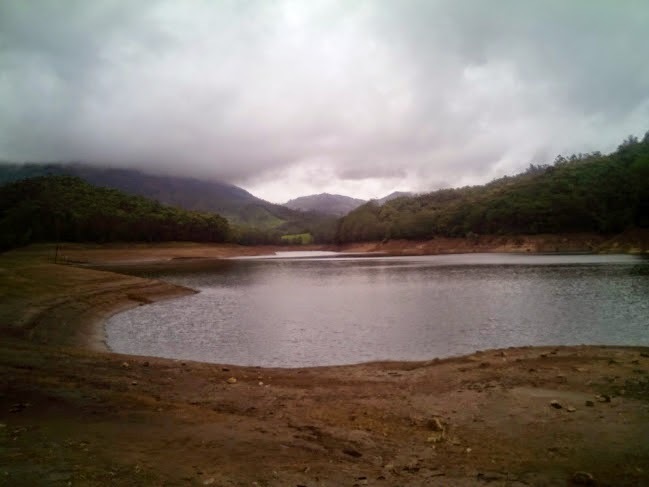 We decided to drive down to Munnar, spend a couple of days there, followed by three days in Thekkady, a couple more in Kumarakom and wind it up with a day in Kochi and a day in Palakkad, before driving back home. At the end, we actually only spent 11 days of the planned 14 and returned earlier than anticipated, thanks to a back problem I developed. This, thanks to the Internet, has become so easy that it is incredible how quickly we managed it. I checked out hotels/ home stays in all the places using Booking.com and Agoda.com. Once I found the ones I liked, I cross-checked the reviews on Trip Advisor and went with the ones that matched our budget and convenience. Always check if meals/ breakfast/ Wi-Fi/ Parking are available or included in the total cost. Most places also charge extra for an extra bed for children. So budget for that, if required. If you have an infant, check if the hotel provides a kettle in the room to boil milk or a provision to cook. Opting for a room with a kitchenette makes sense, in that case. If you have a smartphone, downloading the booking app makes it easier to check your booking details on the go. Carry a printed copy of your booking details as a backup. You never know when you’ll run out of phone battery or be in a place that has zero network coverage! Depending on where you are traveling, check traveler reviews for notes such as carrying mosquito repellent or sun tan lotion for yourself and the kids. This is especially true if you opt for camping or tent-based accommodation. For this, I must credit both V and the South Indian state of Kerala. The roads were like silk, given how used I have become to the bumpy potholes and the terrible traffic of city life. Diesel stops all along the highway ensured that we had no trouble at any point of the journey. The entire trip from Bangalore, across Kerala and all the way back was around 1800 kms, so it needed enough energy, as you can well imagine. Since I don’t drive, the onus of that task fell to V, which he enjoys, thankfully. Always make a checklist of things you will need on the drive. I always have my ready check list on Google Keep, since it has a check box option that helps me plan my travel. The colour code helps me find it easily in the sea of notes I have. Carry lots of water and light snacks/ fruits for short stints. Top these up at rest stops or at your hotels. Try and do most of the driving during the day time, especially on winding roads or the Ghat sections. If you/ the kids are prone to nausea, carry oranges along. Chewing on the peel helps. I also find that the orange hard candy/ dry ginger keep my nausea at bay. I find that a neck pillow really helps on these long journeys, to reduce stiffness. Kids can have a soft pillow and a shawl/light blanket so they can stretch out and sleep if the journey becomes tiring. Always ensure that they are buckled in, though, since a sudden braking movement could harm them. Young kids and infants need to use car seats, both for safety and convenience, on long, winding roads. Carry extra sets of footwear along if you plan to visit the beach or go on a light trek. Sunglasses, hats, moisturiser? These need to be in your handbag, especially in the Indian Summer. Considering that the trip was spread over 11 days, I will not do justice to it in one short blog post. Rather, it may turn into a very unmanageable post, if I did that. I’ll try and do a shorter series of posts on each of our experiences, replete with good photographs too, so keep watching this space. How about you? What do you do on vacation? and dives right into the experience? Do you have any tips which you want to share? You organized woman you ;). Though I must admit that where vacations are concerned, even poor ol' me has to get into some kind of list mode to manage a smooth time of it. So glad that you had a good break, look forward to reading more about it! Looks like you had a lovely vacation. So when I meet you, you will be all rejuvenated! But what happened to that back? Are you better now? Looks like you had a great holiday. And, personally I like being organised too. Only when it comes to holidays. I knew we had more in common than our names starting with 'S' 😉 The vacation was fabulous and yes, I feel wonderful after it. I developed a stiff neck and a shoulder blade sprain thanks to lumpy pillows in one hotel. The remainder of the trip was a bit of a challenge, so we cut it short by 3 days to get back home. Better is a relative term. I think it will take time to heal completely. I also plan our trips with check lists and stuff. I also keep maps handy. It's just a feel good factor for me. You had a great break! I am looking forward to one too..when will that happen, cant say! You are such an organised person, Shailaja. I am sure it must have ensured a pleasurable trip for all! And, now, I would really like to know more about the wonderful places you visited, as I, too, would like to go there someday! Oh yes! Maps are a boon, especially when you don't have a mobile network to help you out 🙂 All the best for the trip, Parul. May it happen soon! Looking forward to other detailed posts on the trips.. What places in Kerala did you cover?